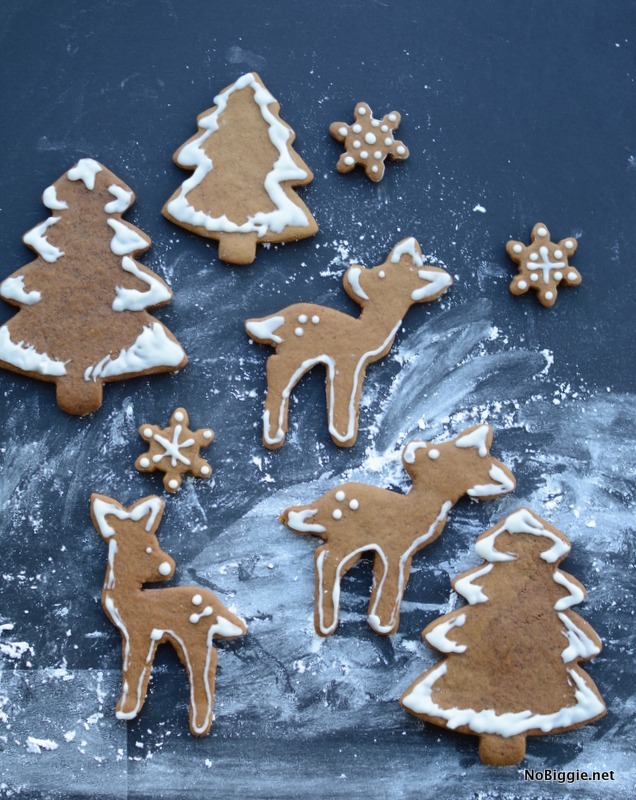 Super soft gingerbread cookies that you’ll actually WANT TO EAT! We’re so excited for Christmas this year. The Christmas music has been going strong and cookie baking season is in full swing! 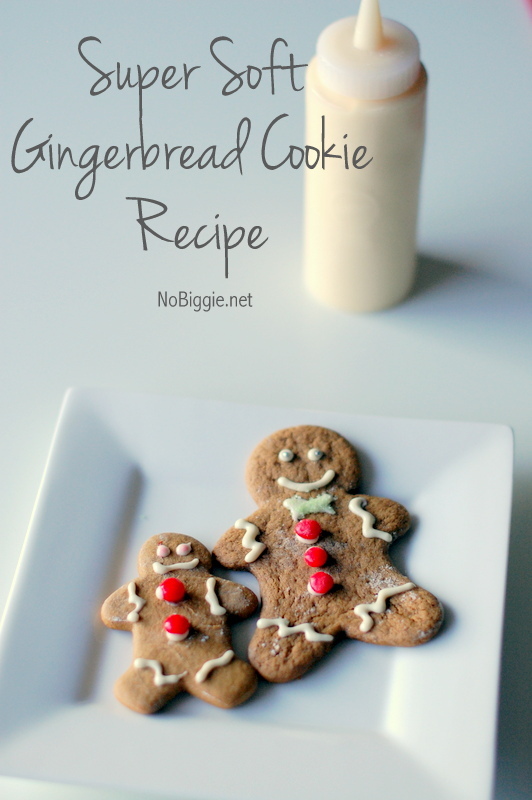 My sweet sister-in-law Nicole shared this recipe with us years ago for the most soft gingerbread cookies. They’re so good! 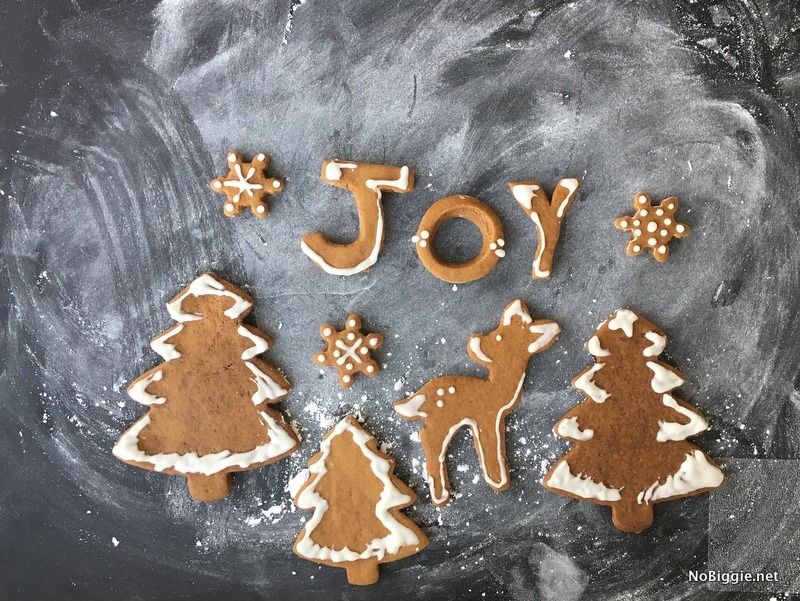 If you love gingerbread, you’ll want to make them! 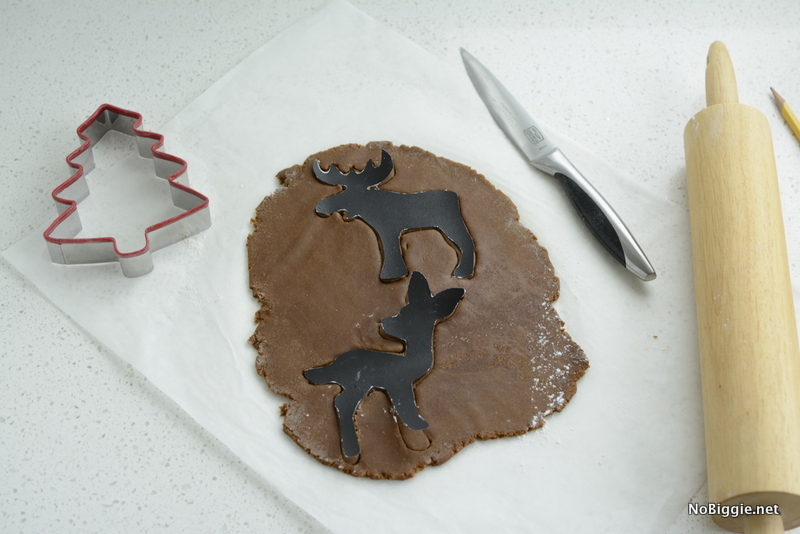 So get all your cookie cutters ready, because you are definitely going to want to make these this season. *Update – please read the note included in the printable recipe, where you’ll find answers to frequently asked questions. Start by making the cookie dough the night before you'll be baking them. Cream the butter and sugar together. Now mix the rest of wet the ingredients in with the butter and sugar. In a separate bowl, whisk, all of the dry ingredients together in a bowl. Add the dry ingredients to the wet ingredients. Mix together well. Move cookie dough to two disk shapes and wrap in plastic wrap and refrigerate overnight. When you are ready to start rolling out the dough the next day, flour the clean surface really well. You can also use a silpat for rolling out the cookie dough or parchment paper. Before beginning to roll out the cookie dough, preheat your oven to 350. 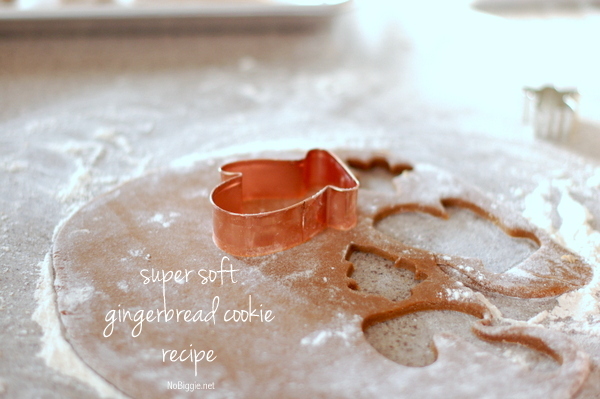 Roll the dough out to 1/4″ thickness and cut with cookie cutters into shapes. Place cookies on parchment paper on a cookie sheet and bake at 350 for approx. 10-11 minutes. Let cookies rest on the pan for another 5 minutes before transferring to a cooling rack. Mix together the butter, salt and vanilla together. Add powdered sugar and condensed milk to desired consistency. If using a frosting decorator like a squeeze bottle, you’ll want the frosting to be a bit thick. Decorate your cookies and enjoy! -To avoid too sticky dough, make sure you let the dough chill in the refrigerator overnight. This is a must to avoid sticky dough, plus it needs this time to rest. When rolling out, make sure you are rolling out on a well floured surface. A silpat works great for rolling on as well. 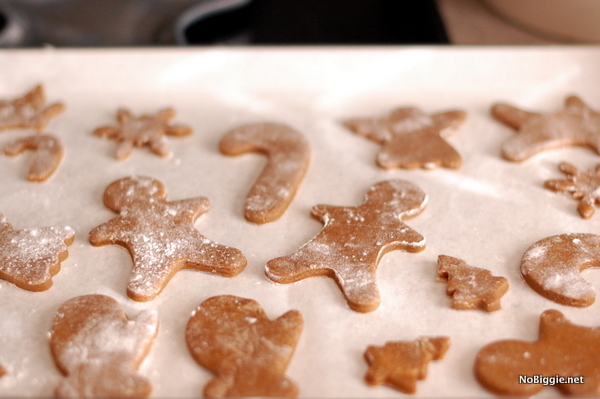 -To avoid too dry dough, be sure that your dough is rolled to the right thickness before cutting with cookie cutters. 1/4 inch thick is a good guideline. Also under bake them in the oven then let them sit on the hot pan out of the oven after baking for at least 5 minutes. -Make sure you allow your oven the time to preheat this step is so important. -No, there are not any eggs in this recipe. Print off a template from any shape online. Cut out the shape and then just use it as a template to cut the cookie dough with a sharp pairing knife. It’s a little more time consuming then just pressing a cookie cutter down, but in a jam it’s a great solution, plus you can get really creative. I was wanting a specific reindeer shape, but didn’t have it right when I needed it, and this trick worked great! That’s it! I’m so excited for you to try them! Nicole, the baker extraordinaire ! how much powdered sugar in the frosting recipe? 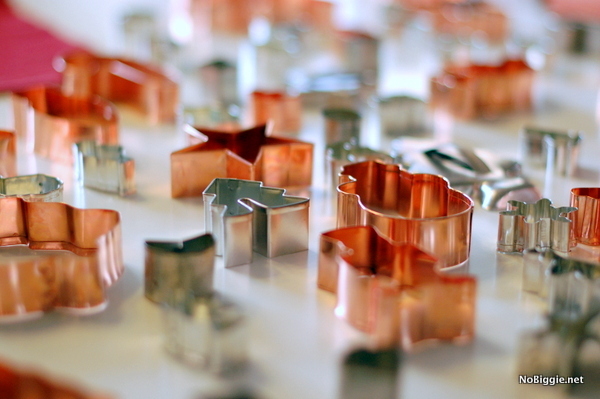 You just sort of measure as you go until you reach the consistency that works for you. How many dozen would this recipe yield? For sure 2 dozen, but it depends on the sizes of cookie cutters that you use. Is the butter for the frosting softened or melted? My dough seems quite dry. Is that normal? Oh no?! I’m not sure. Someone else commented right after saying their dough was too sticky. My dough was extremely sticky and it was nearly impossible to get them off the counter and then off the cookie cutter… the dough tasted great!… however, the sticky dough was not enjoyable… do you have any suggestions? You need to flour the surface really well when rolling out the dough. My dough is so dry! I can’t imagine how this is going to be able to be rolled out. What happened? Hi Lauren, I’m sorry the dough was dry for you, I have updated the recipe at the bottom to help with trouble shooting and baking tips. I live in a high altitude, and I’m not sure if the amount of flour is to accommodate this or not. Along with the new tips listed, you could always try using less flour. Baking is so tricky. I noticed there was no egg in the recipe… is that correct? Yes…no eggs. Thanks for asking. I loved this recipe. They turned out great and were easy to make. They were soft and chewy which I like much better than the usual hard gingerbread cookies. Yay! I’m so happy! Thanks for sharing! I made these and they did not come out good, followed everything. They dough was extremely dry and the taste was blah. I will stick with the McCormick recipe. I’m sorry this recipe didn’t work out for you. I have updated the recipe at the bottom to help with trouble shooting and baking tips. I live in a high altitude, and I’m not sure if the amount of flour is to accommodate this or not. Along with the new tips listed, you could always try using less flour. Baking is so tricky. So the way this is written makes it seem like you preheat your oven overnight while you chill this is the fridge. I know it’s my own fault for not reading all the way through, but that’s pretty confusing. Also, do you cream the butter and sugar together before you add the molasses and water? Hi Jen! Thanks for your comment. I just made adjustments to the directions of the recipe as to not confuse you or anyone else. I hope it all makes sense now. This was the first time I’ve ever made gingerbread cookies and they came out wonderfully. Thank you for taking the time to share. I don’t know about the other comments with people having trouble. I understood it perfectly and did not think I had to preheat my oven overnight. I will be making these again next Christmas. Thanks again and Merry Christmas. Celinda!! You just made my day!! So hilarious! Thank you for the positive comment here. I so wish everyone had the same experience that you did. Thank you for sharing! I just made these and they are delicious! The dough was super dry last night and I felt sure they were going to be an epic fail. However,i decided to persist. I rolled the dough out on a VERY LIGHTLY floured surface (trying not to add to the dryness) and they turned out perfectly! i cant wait to get the icing on and share them. Thank you for the great recipe!!! I used the whole can of sweetened milk and only 5 cups of powdered sugar and added drops of water to bring it to desired consistency. Thanks! I’m in NZ and have adopted the recipe to our tastes/measurements/ingredients. I used golden syrup instead of molasses and also used a Edmonds cook book gingernut buiscut recipe to help figure it out to kiwi spec 😉 and had the same issue as other ladies way too sticky couldn’t cut anything out so ended up rolling into balls and squashing them into bikkies. They turned out awesomely soft and chewy even though some of them where black on the bottom haha I’ve done another batch and will use your awesome tip of leaving I the fridge overnight and using heaps of flour to roll out. Thanks for the great tips! Merry Christmas! I’m glad to tips helped. I appreciate hearing from you. Thanks for sharing. I made these a few days ago and they were amazing!! The best gingervread cookie I’ve ever had.they were very easy to make I have no idea how u could have gotten confused. Thank u so much for sharing ill definently be making them again. Yay! Thank you for sharing! Merry Christmas! I made these today. They are delicious! Thank you so much for sharing! I love that they don’t use very much butter. I had a ‘go to’ recipe for gingerbread cookies that I really wasn’t happy with, but I never really did anything about it. Well yesterday I was determined to find a soft gingerbread cookie AND I FOUND IT! This is an awesome recipe and I can’t wait to try your other recipes. So no more having to eat gingerbread cookies with coffee or other hot beverages to soften them up lol. Thanks! 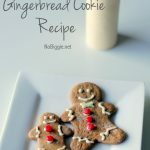 Is this a good recipe to use for making a gingerbread house? Dough was too dry. I live at 5000 ft in desert added 1/2 cup milk and it did the trick. Dough came out great. Now the taste is blah so next time I’ll add more sugar. I thought the recipe didn’t call for enough and I was right. They are soft though so I love that. Kids love em but I think they are cardboardesque so next time here comes the sugar! Thanks for sharing. Sorry you weren’t thrilled. Hope the next batch is more to your liking. My boys and I made these last year and they were so delicious!! I hate crunchy cookies so these were perfect! We are making them again this year and will continue to every year as part of our Christmas traditions! These were GREAT!! I’m not a skilled baker and I pulled these off with no problem. I added extra brown sugar to the dough. And next time I think I will just use store bought icing to pipe on rather than make the icing. Thanks for the great recipe! Just made these this morning and came out perfectly! And soft! The dough was sticky right after mixing it, but after a night in the fridge it was wonderful to work with…But I think that is typical of gingerbread. Can’t wait for the compliments on my cookie trays! I tried this recipe because it looked thought out. But it wasn’t. The dough smelled like molasses not gingerbread. The dough didn’t want to be soft. It was hard as a rock. Was not easy to roll out. The comments didn’t help when something went wrong. I also didn’t like the way to make the icing to decorate.. The out come was good for the cookies for the taste and what they looked like. But I won’t be using this recipe ever agin. Hi there! Just wondering what your altitude is so I know how to adjust. I am at 6,700 ft 😉 Happy Holidays and what a pretty blog!